Holodance is a Virtual Reality Rhythm Game Holodance that has a group of dragons returning to planet Earth to remind us, the human species, of our duty of care for the planet and the responsibility for our own future. In its upcoming collaborative multiplayer mode, Holodance gives players working together internationally a bonus – and during development, we also worked with talented people from Turkey, USA, Canada, Brazil, Great Britain, France, The Netherlands, Russia, Belarus and China (24 people from 10 different countries). Due to requests by players we have added support for osu!-beatmaps and turned what was originally planned as two episodes into a single game with both a "story-mode" that still has the dragons and a "free mode" that lets players pick any of the environments we had created for the story as well as several additional environments, to eventually play with any music they like (osu!-beatmaps support is just the first step towards that direction). 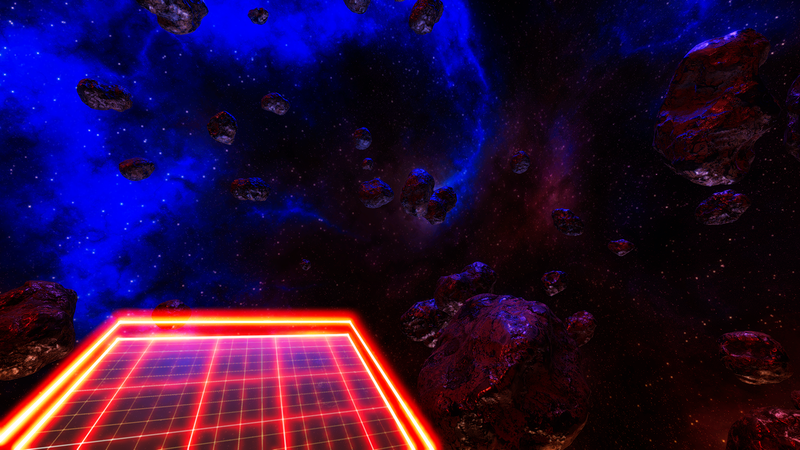 Holodance is still in Early Access, with new versions released usually every one or two weeks. 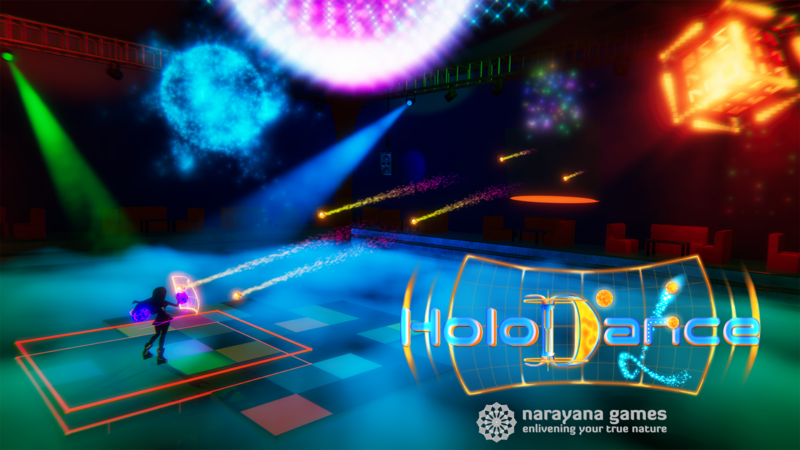 Holodance was initially inspired by a project at Shayla Games VR Jam 2015, called E-Motion, that used Razer Hydra and Oculus DK2 for players to "catch orbs" to the rhythm of the music. 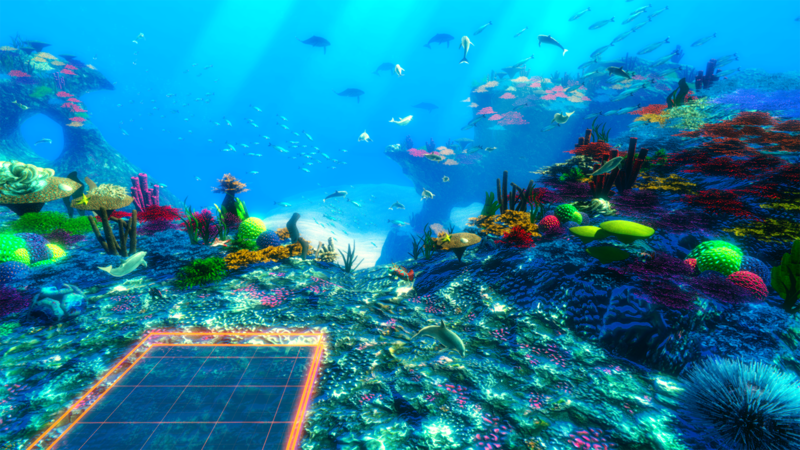 While E-Motion was never developed into a full game, it did remind me that I always wanted to create a musical, rhythmic, interactive VR experience that would let players "experience" the music on all possible senses. So with the hardware I had available at that time (also Razer Hydra and Oculus DK2), I started prototyping and released the first video on Vimeo on July 16th, 2015. While working with Razer Hydra and DK2 was certainly better than having no VR hardware at all, the limited tracking area of DK2, and the very imprecise tracking of Razer Hydra made developing and playtesting the actual gameplay quite a challenge. Fortunately, Julie Heyde (who had organized Shayla Games VR games) mentioned that devs could come to their office and use their Vive development kit, if needed. I needed, so end of July 2015, I travelled to Copenhagen with my dev machine, and those few days enabled a huge leap in development progress! With fairly limited art-skills, it was clear from the beginning that I need artist support. That's how Samuel Hajek joined in, who previously was just an acquaintance of a friend and since then has become both colleague and friend. Efe Tozan contacted me and asked if he could contribute music when he read about the game (I had posted a lot of updated and videos in various locations). That's when the time started becoming international and knowing Efe later also gave me a first-hand account of how people in Turkey felt about the events surrounding the attempted coup. I also commissioned Anne Stokes for a painting of the dragon you meet in the final level of the game and step by step, the game turned into an interational project with people from all almost parts of the world. Check out the credits for the full details. Finally, in November 2015, I received my own Vive Development Kit and development gained real momentum. At that time, we still thought the Vive would be released end of the year and I probably was not the only developer feeling a bit of relief when that got delayed. We spent the time both working hard on finishing the game and going to Virtual Reality meetups and events to show the current state of the game to players, watch where they struggled and collected plenty of feedback, which resulted in a lot of features we wouldn't have had otherwise (like highfiving, fistbumping or tickling a dragon). Finally, on April 5th, 2016, the same day the first Vives were delivered to players, we went into Early Access. Early on, we received player feedback asking to support osu! and StepMania beatmaps. 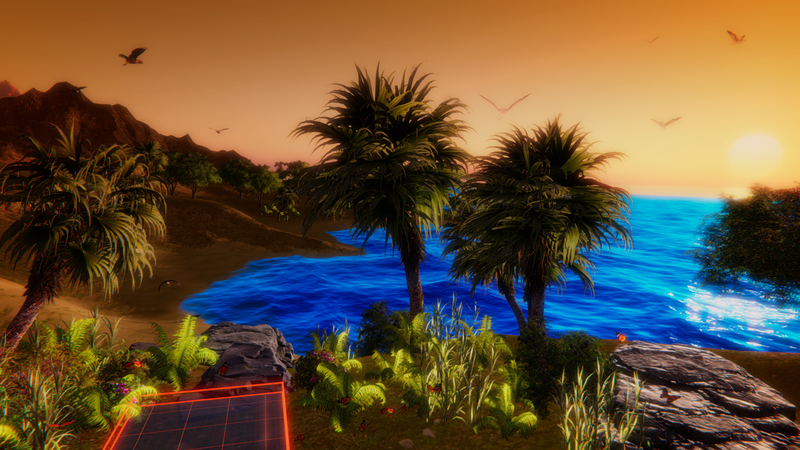 Initially, the idea was to put this into a second game, called Holodance Episode 2: Modding the Industry which would have also brought our own beatmap editor and basic environment editing features. However, over time, it became clear that building our story-mode actually takes much more time and money while at the same time turning off a significant fraction of rhythm game players (story mode also has fans, including myself, but the significant increase in sales after we added free mode speak a very clear language). So, it's fair to say I put things in the wrong order. As a result, we currently focus very heavy on features that were originally planned for Episode 2, while progress on completing the story is fairly slow. And, instead of having two games, we put it all into one.
" I recently had a chance to play through an early pre-alpha build of the game and despite bugs here and there the game was pretty darn fun ... both for me and those watching." 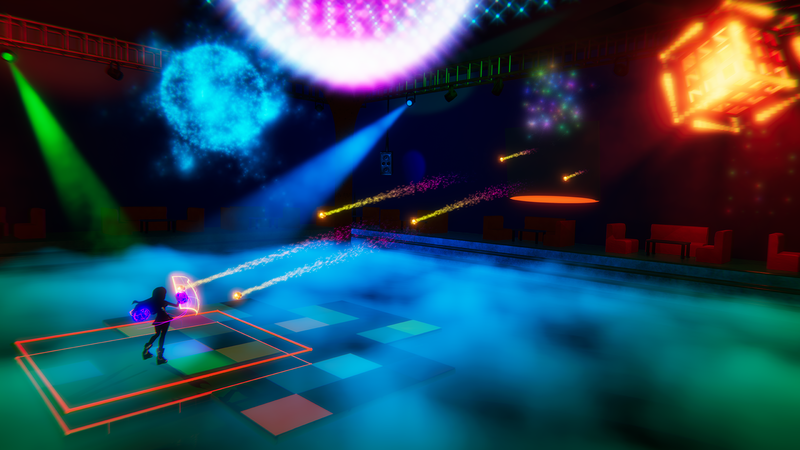 "Holodance [...] challenges players to follow perfectly timed instrument tracks while dancing with dragons. Each of the songs available with the game has several tracks – bassline, bass drum, and melody – with different rhythms and complexities, and a natural progression of difficulty." "It lets you play with the music while dancing with dragons. Isn’t it exciting? And looks like the audience enjoyed it ..."
Holodance V0.8 - The largest release so far, AWE Europe, Mixed Reality, Art! holodance-press.com. 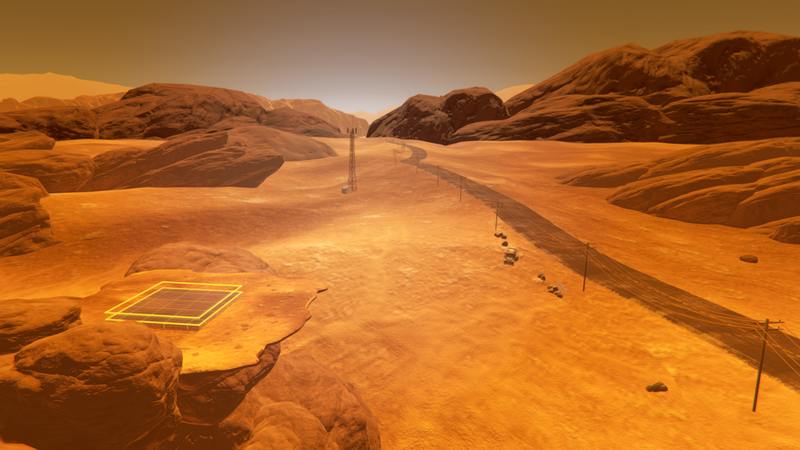 Screenshots of most current environments, licensed under CC-BY-40 holodance-press.com. All of our Holodance Videos starting July 2015 vimeo.com. All videos about Holodance on YouTube that we are aware of youtube.com. We listen to player feedback and update frequently - see for yourself steamcommunity.com. DevLog about travelling to Copenhagen to work with a Vive development kit at Julie Heyde's office holodance-vr.com. Has detailed descriptions of the core Holodance game mechanics en.wikipedia.org. 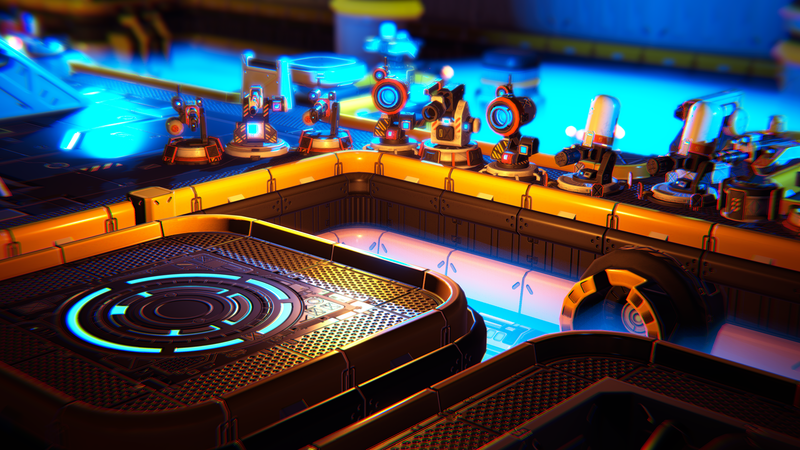 narayana games is an independent game development studio focussing on VR, AR and multiplayer. We're based near Munich at Lake Ammer (Ammersee), Germany, but have an international team collaborating all over the world. 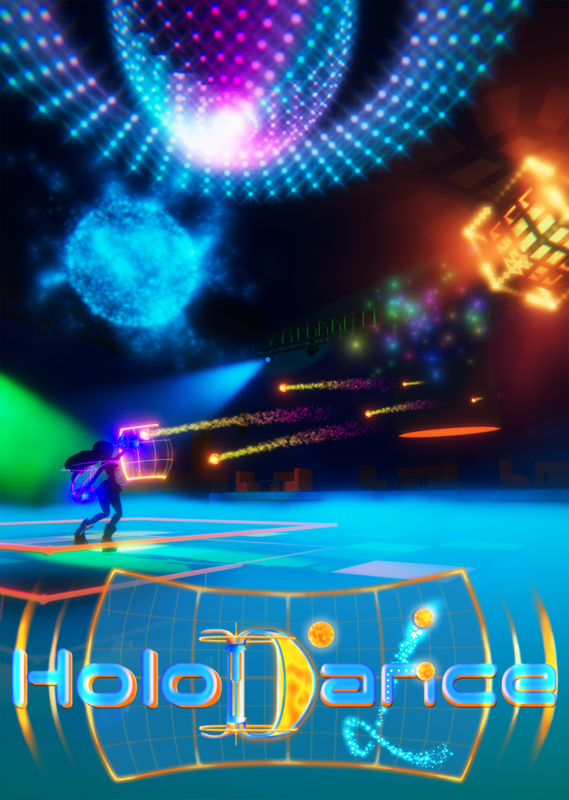 Our current project, Holodance, is a Virtual Reality rhythm game released on Steam into Early Access on April 5th, 2016 that evolved from "Dancing with Dragons" into "Clubbing with osu! beatmaps" within roughly one year and keeps on evolving based both on player feedback and our own creative flow. More information on narayana games, our logo & relevant media are available here. Copy Editing (store pages, words of the dragons) ... he started as a player, wrote an epic review and thus, become our Wizard of Words. We were not able to verify his true identity, yet, so he may very well be a dragon in disguise. Main Song for Level 1: "Caipirinha"
Sound-effects, Bonus song for Level 1: "Ibiza Sun"
Composition of Bonus Song for Level 1: "Electric Sun"